Fantastic Beasts: The Crimes of Grindelwald (film, 2018). A 2018 fantasy film with "PG-13" rating by Warner Bros. Pictures. Directed by David Yates. Official Trailer. Fantastic Beasts: The Crimes of Grindelwald is a 2018 fantasy film directed by David Yates. 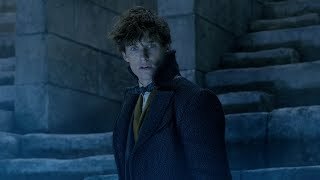 Fantastic Beasts: The Crimes of Grindelwald - Final Trailer. 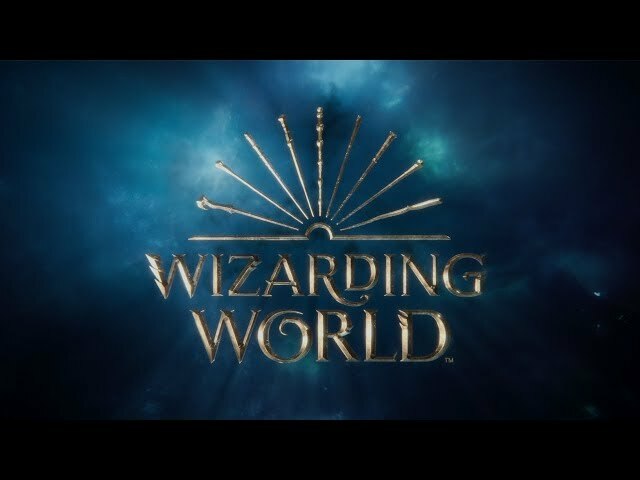 In 1927, the Magical Congress of the United States of America (MACUSA) is transferring the powerful dark wizard Gellert Grindelwald to London to be tried for his crimes. Grindelwald escapes, helped by Abernathy. 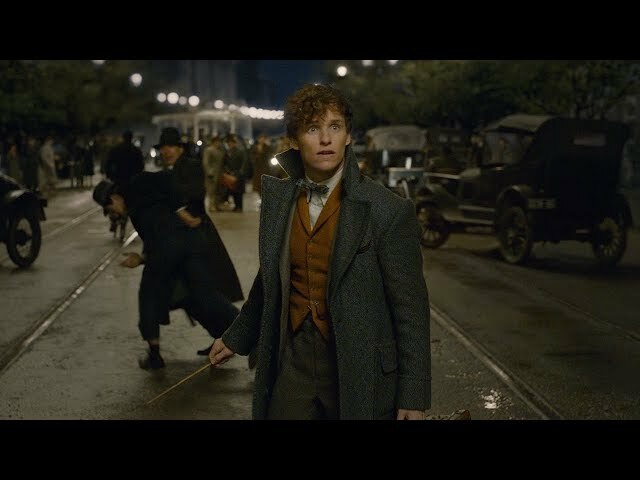 Three months later in London, Newt Scamander runs into Leta Lestrange, an old Hogwarts classmate now engaged to his Auror brother, Theseus. 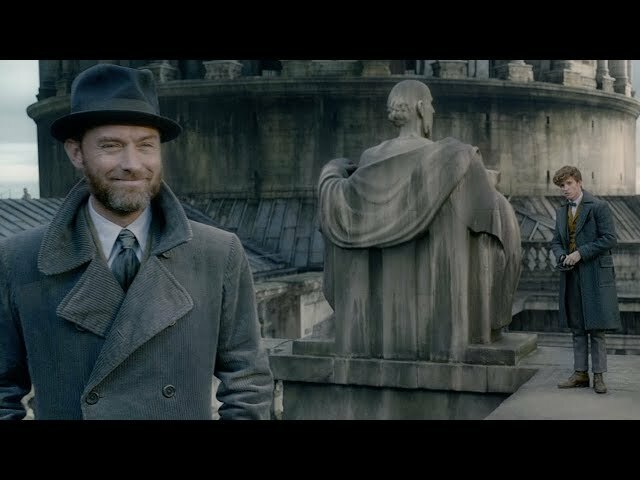 The Ministry of Magic asks Newt if he will work alongside Theseus to locate Credence Barebone in Paris. Credence may be Leta's lost brother, Corvus Lestrange, the only person who can kill Hogwarts professor Albus Dumbledore. 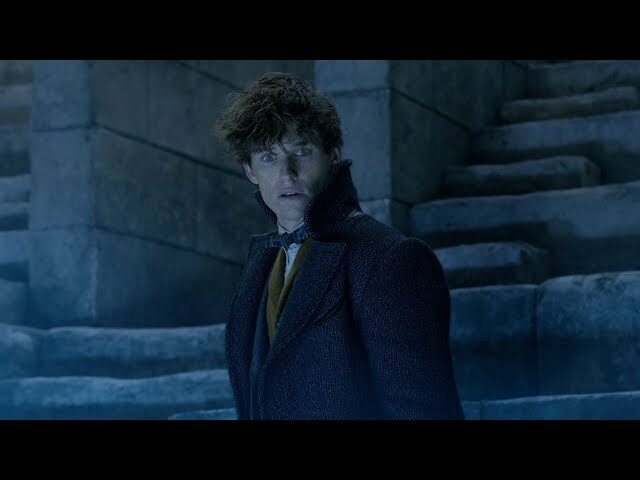 Newt declines, and the Auror Grimmson is dispatched in his place. Later, Dumbledore persuades Newt to go. Newt's American friends, Queenie Goldstein and Jacob Kowalski, visit him unexpectedly. Jacob has retained most of his memories from the 1926 Obliviation order in New York. Queenie tells Newt that she and Jacob have followed her sister, Tina, to Europe; Tina is searching for Credence in Paris. Queenie says that Tina believes Newt is betrothed to Leta Lestrange. Newt says she confused him with Theseus. He deduces that Queenie has enchanted Jacob into eloping to circumvent MACUSA's marriage ban between wizards and muggles. After Newt lifts the charm, Jacob and Queenie quarrel about marrying, and an upset Queenie leaves to find Tina. Newt and Jacob follow the girls to Paris. In Paris, Tina searches for Credence at the Circus Arcanus. Credence and a circus freak named Nagini escape after causing a distraction. While searching for Credence's birth mother, he and Nagini locate the servant who put him up for adoption. However, Grimmson, who is secretly working for Grindelwald, arrives and kills her. Meanwhile, Tina meets Yusuf Kama who is also hunting Credence. Newt and Jacob follow Yusuf to Tina, and Yusuf explains that he made an Unbreakable Vow to kill Credence, who he believes is his step-brother and the last of the Lestrange family. Principal photography began on 3 July 2017, at Warner Bros. The film Fantastic Beasts: The Crimes of Grindelwald was scheduled to be released by Warner Bros. Pictures on November 8, 2018 (Paris), on November 15, 2018 (Germany, Italy, Russia, Brazil, Portugal) and on November 16, 2018 (United Kingdom and United States, United Kingdom, United States, Turkey). The duration of the film is 134 minutes. With a budget of $200 million, the film grossed over $653.7 million. Fantastic Beasts: The Crimes of Grindelwald got average rating from critics. But the audience likes the film. Audiences polled by CinemaScore gave the film an average grade of "B+" on a scale ranging from A+ to F.